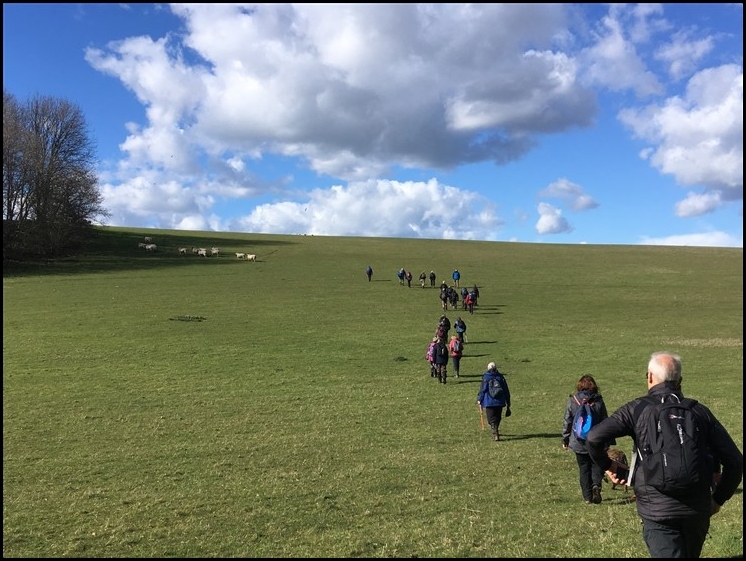 Sunday is our main walking day on which we try to offer 2 walks of varying lengths, full day circular walks, averaging 10 miles or half day walks of around 5 to 6 miles. At least once a month there are mid-week walks and evening walks in the summer. These walks can be anywhere in Kent and sometimes beyond. We have regular social events such as wine and wisdom evenings, croquet, bat & trap and talks by members sharing their experiences of walking in far off places such as Nepal. We are regular contributors to local festivals such as the annual Canterbury Festival and Whitstable's Oyster Festival, walk in France with Les Randonneurs du Plat Pays and enjoy UK and European holidays with interesting walks and sightseeing.